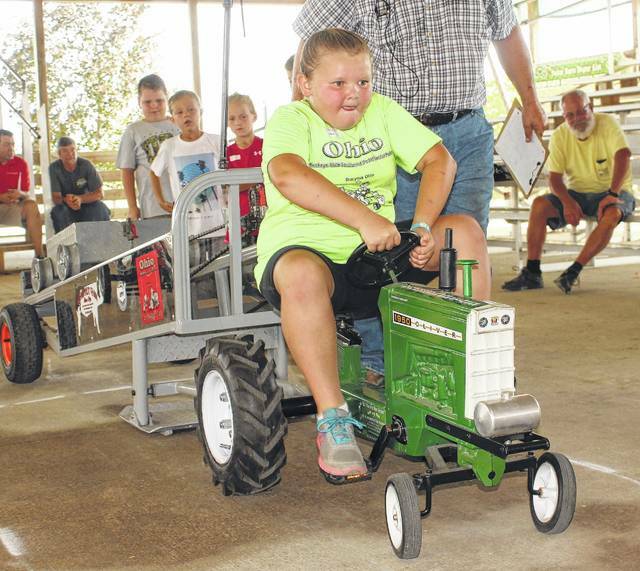 Molly Whiteside competes in the pedal pull at the Fayette County Fair Saturday, July 22, 2017. Molly won the 7-year-old division to qualify to State. See today’s sports for more pedal pull photos.